Amaia is working on the development of cancer immunotherapies as a PhD student at Imperial College London. She is passionate about making the world a better place for everyone, and both her scientific work, as well as her social commitments lead towards achieving this goal. In addition to pursuing her own research, Amaia has been teaching high school students in multiple disciplines and developed an interactive Chemistry curriculum to promote public awareness of science. As the Curator of TEDxGoodenoughCollege, she brings years of experience as an event manager, as well as the enthusiasm to truly pursue eQuality via including it in our thinking no matter what we do. She wants to ensure that all scientific discoveries, technological advances or medical milestones are a step forward for a more equal world. Gergo is working with NHS Scotland as a data scientist trying to predict adverse health events and prevent them before they happen. At the same time he is finishing his PhD at UCL in Theoretical Neuroscience and Machine Learning this year, focusing on understanding the computations that happen in the lowest levels in our brains, implemented as communication between individual neurons. At TEDx, however, Gergo wishes to address a much higher level issue: how humans may best communicate their ideas to one another. The TED format gives an excellent opportunity to present complicated ideas in a rigorous yet approachable way. Gergo believes that clear and effective communication could be the key to true eQuality, as we first need to understand others’ perspective, so that we are able to change our behavior and decisions to take everyone into account, equally. Matko Bošnjak is wrapping up his PhD in Computer Science, where he found some interesting ways to make machines learn how to utilise symbolic knowledge, in particular how to effectively use and write programs and provide explanations of what they’re doing. His final goal is to push machine intelligence to a point where they would gladly do a lot of the hard work with us so all the humans could take longer holidays than usual. He is still a big fan of TED talks as great thoughts, great stories and great experiences often hide fantastic ideas that are worth spreading. Hence his excitement in making TEDxGoodenoughCollege the highlight of the academic year in his favourite College in the whole world. He firmly believes eQuality can be achieved with the help of machine intelligence by having intelligent machines, not just doing the tasks we don’t want to do ourselves, but helping us in devising more impactful and meaningful solutions for the whole planet that we so desperately need. Hence we could all focus more on our meaningful relationships with each other, the planet, and the future that we want to improve for future generations…as well as get those aforementioned longer holidays we so urgently need. Rafie is a PhD candidate at UCL. Her research project examines the interaction between visitors and technology in museums. She has an extensive portfolio of experience that integrates public engagement with responsible research and innovation. She is involved in the organisation of social and cultural events, from research seminars to museum events to public engagement workshops. Her work is in service of the idea that cultural heritage should be open and accessible to everyone in society, and she puts these principles into practice in concrete and sustainable ways. Equality for Rafie means social justice, freedom, equal rights, opportunities, and dignity for all. Equality thrives in social, cultural, and personal diversity. It means the right to be different, and therefore being offered equal opportunities by removing factors of social, cultural, and personal inequality. Alex Owens is studying for a Masters in Public Health at the London School of Hygiene and Tropical Medicine. A medical doctor from Dublin, Ireland, Alex is passionate about developing health policy and systems which provide high-quality care for every citizen on the basis of need, not ability to pay. For Alex, equality means that every member of society should expect equal access to services and opportunities and that society should be responsive and adaptive to their needs. Sam Ford is a writer-performer and urbanist from Dublin, Ireland. He has performed at Ireland’s national theatre as well as appearing on RTÉ, TG4 and the Hallmark Channel. Sam has developed tours and promenade theatre pieces for the Little Museum of Dublin, the James Joyce Centre, the Dublin International Literature Festival and Culture Night. He is currently pursuing an MSc in Urban Studies at University College London. eQuality for Sam means the ability to achieve your potential without reference to gender, colour, caste, accent, age, orientation etc. This requires us to engage seriously and persistently with uneasy truths surrounding the histories and geographies of oppression. Nicola Dwornik is a freelance journalist studying for a Masters in Newspaper Journalism at City, University of London. She previously studied Ancient and Modern History at Balliol College, Oxford. Equality is when men can deal with women having opinions. When people who don’t have white skin aren’t unfairly discriminated against in court or denied their own histories. And when LGBT+ individuals aren’t told to be ashamed of the love they want to share with others. It also means many other things. Most importantly, equality is when such identity labels cease to be linked to prejudice and we can all just get on with each other. And be happy. Rosemary E. Hambright is an attorney from Texas. She is pursuing an LL.M. in Energy and Natural Resources Law at Queen Mary University of London. Her legal adventures have taken her from the Khmer Rouge Trials in Cambodia to the world of electricity and water regulation in Austin. Rosemary has also been teaching ESL for more than 6 years, including 2 years in South Korea. Rosemary is an avid painter (https://rosemaryportfolio.com/), runner, and podcast enthusiast. 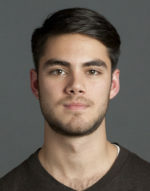 Jorge is currently pursuing a PhD in Theoretical Neuroscience and Machine Learning at University College London. He is interested in the biological mechanisms underlying the flexibility and richness of intelligent behavior, and in particular in exploiting our understanding of these natural processes in order to help improve human-designed algorithms that affect our everyday lives. Such technology can be key to structuring and guiding human society in order to provide equal access to opportunities for growth to all individuals. Jorge believes this is at the heart of eQuality, and that a medium such as TEDx for exchanging ideas is crucial to achieving this multidisciplinary goal. Rajapriyah is currently pursuing her Master’s degree in Education, Gender and International Development at University College London. She is very passionate about raising gender awareness among people especially, teachers. Having taught in England, Malaysia and Saudi Arabia, she truly believes that teachers who are gender informed can make a world of a difference in a child’s life. As such, she is working on a research to incorporate gender studies in teacher training institutes in Malaysia so that every teacher can have the tool to close the gender discrimination gap. She loves to meditate and read in her free time. Equality is a very important topic to Priyah as she believes that everyone is capable of achieving their highest potential should they be given equal opportunity. Also, respecting, embracing and celebrating each other’s differences should be the way forward in achieving equality. Therefore, equality does not mean that we should focus on how to wipe out all differences but how to unite with our differences intact (Rabindranath Tagore). Matt is currently pursuing a MSc in Public Policy and Administration at the LSE. 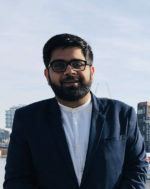 He is interested in researching the way crises are handled by public organisations and theories that can help both explain and advance public management practice in high reliability organisations. Outside of academia he has numerous global experiences, including legal work in Sydney, developmental projects in Kenya and international trade research in Seoul. Matt takes eQuality to signify the pursuit of normative ideals in a digital era. He thinks particularly that the impending discussions to be had in societies are those that consider the implications of technological advancement on the betterment of all human life. Qing Wei is currently completing a Master’s Degree at University College London studying Strategic Management of Projects. She has years of experience in developing and maintaining relationships with clients from worldwide financial institutions, and also excelled in product management and service promotion. Equality for Qing means shaping a better future by new technology under an equal and sustainable environment. Trisha is currently pursuing a Master’s in Human Rights at the Institute of Commonwealth Studies, University of London. She is particularly passionate about the promotion of human rights of refugees, women and children. In her previous role at the Judiciary of Trinidad and Tobago, Trisha worked on an Access to Justice research project which examined equality and non-discrimination within the courts of Trinidad and Tobago. Her work has also encompassed contributing to a Gender Protocol for judicial officers in her home country, which aims at ending violence against women and girls and gender-based violence and encourages judicial officers to apply a gender perspective in all judicial matters. Trisha believes that equality should exist for all on the basis that we are all human and therefore all persons should be treated with dignity and respect regardless of individual distinguishing characteristics. True equality can only be achieved by addressing systematic and social factors and addressing the inherent imbalances which exist within societies. She truly believes that technology has the ability to address these problems by breaking the barriers which exist as a result of socio-economic differences. The capabilities of technology should always be harnessed to improve the lives of all people. Christian was born in Germany to Canadian parents and lived first in Europe and then in the States. His photography career began while he was studying film at Berkeley, California. From there Christian decided to travel the world and document his experiences. His first publication was in Istanbul, Turkey, followed by stints in Brazil and Sweden. Back in London, inspired by the music scene and vibrant style of the city, he shot fashion, documentary and portraiture. He is largely self-taught, although he did participate in a mentoring program through Magnum in London and also took a Broncolor intensive in Switzerland. Christian also studied wet-plate photography under John Coffer in NY state and Will Dunniway in California. Kavita Shah pursued her undergraduate degree in engineering and joined a global multidisciplinary management, engineering and development consultancy after spending a year at a South African railway company. Through her professional work experience she has come to the realisation that cities are crucial to national development and opted to focus more on innovative city development strategies, especially for developing countries. She is currently pursuing her MSc in Urban Economic Development at University College London. Kavita is committed to shaping and delivering transformational change by inspiring, engineering and building smarter cities. At a high level, her research seeks to help African cities leapfrog typical city evolution patterns by developing policy tools and strategies that can navigate the fourth industrial revolution. Kavita believes that eQuality is about levelling the playing field – like creating equal access to the opportunities that help preserve human wellbeing in an increasingly digital world. Akash is currently completing a Master’s Degree at University of the Arts London studying Data Visualisation. He has years of experience in developing and maintaining websites with clients from worldwide industries. Equality for Akash means shaping a better future by new technology using data. Batool is currently studying an MSc in Urban planning in the University of Liverpool in London campus. She is an architect in practice and graduated from Damascus University school of Architecture. She is mainly interested in humanitarian urbanism and how cities evolve in times of conflicts. She is driven by humanitarian work and had joined the United Nations and worked on the Syria Crisis Response in Turkey on both Shelter projects for camps in northern Syria and Basic needs assistance. Equality for Batool means having equal rights in accessing resources. Humans should be able to access opportunities and resources regardless of their age, race or orientation, and whether they live in a tent in a camp or in a city like London, they should not be deprived of this access. Equality doesn’t mean similarity, it is guarantor of freely expressing our differences and celebrating diversity. After more than 15 years in PR and Marketing Communications, Anastasia has decided to pivot her career and is currently pursuing an MA in Art Business at Sotheby’s Institute of Art. Her research is focused on art as communication in collaborations between artists and brands or public institutions. She is glad to bring her extensive experience to TEDxGoodenoughCollege. For Anastasia eQuality is a basic concept of a thriving society. It stands for accessible technology, mutual respect, equal pay and equal rights. A world of eQuality for her is a balanced and happy life, where art is not a luxury, but a universally available source of inspiration and wellbeing. Jenny is a PhD Candidate at Birkbeck, University of London in a collaborative project with UCL IOE. Her research project examines how we can improve the technologies for People with Parkinson’s by engaging them in the research and design process. Her project aims to empower People with Parkinson’s by embracing the idea of researching with people rather than for them. Jenny’s project is an example of how technology can address the current inequalities of the healthcare system and promote a more patient-driven paradigm in health. Besides her studies, Jenny is a member of the gender equality committee at her Department as well as being involved with the cultural sector by consulting museums. Equality for Jenny means ensuring that every person is not treated differently or less favourably , on the basis of their specific protected characteristic, including areas of race, gender, disability, religion or belief, sexual orientation and age. Also, equality in the digital era means that we should make sure that technology is used to address prevalent socio-economic problems rather than intensifying disparities. Victoria is studying Strategic Communications at the LSE where her research focuses on post-colonial and humanitarian communications. Her research focuses on the interplay between power, ideology, discourse, and how organizations communicate to diverse audiences. Having studied political science at McGill University before moving to London, she is interested in comparative politics, refugee flows, and human rights. Through her professional work experience with the American and Canadian governments as well as a collection of NGO’s, she is looking forward to professionally communicating for organizations in a responsible, ethical way. For Victoria, eQuality means equal opportunity and support for everyone, regardless of their background. Going about this entails connection and understanding of our relationships with open minds and hearts.